So this week is National Transplant Week, as you may know organ donation is something I'm very passionate about having seen it give a second chance of life to people with cystic fibrosis - people who wouldn't be here were it not for the kindness and selflessness of strangers. Transplants are something I'm very aware of due to my illness but for the majority of people it's something they don't have to think about. This is a good thing in a lot of ways because I would never wish anyone to have to go through something like that but sadly for a lot of people it's their reality - there are currently around 7000 people in the UK waiting for a transplant for all kinds of reasons. However 3 people on this waiting list die a day and with the terrible news that the number of donors in the UK has fallen for the first time in over a decade there will continue to be deaths that can potentially be avoided. 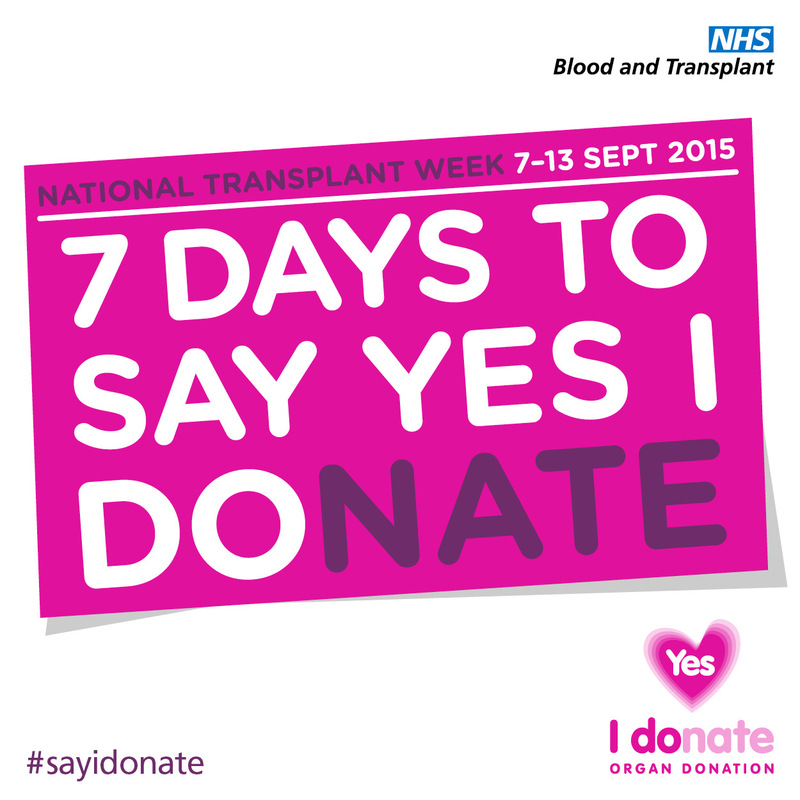 So, as unpleasant as some may find it, organ donation is something we need to talk about. Only fair, right? Although had I not seen kind of first hand how it transforms peoples lives I reckon I'd be a bit squeamish about the whole thing. A lot of the time I hear 'I don't wanna be cut open!' but I think people need to see the bigger picture. To put it bluntly, you'll be dead and you ain't gonna feel it! I see it as a way to keep on living, through someone else - to make something wonderful come out of something so horrible and sad. There is no gift greater than the gift of life! A lot of families also say it gives them comfort knowing their loved one has saved someone's life. 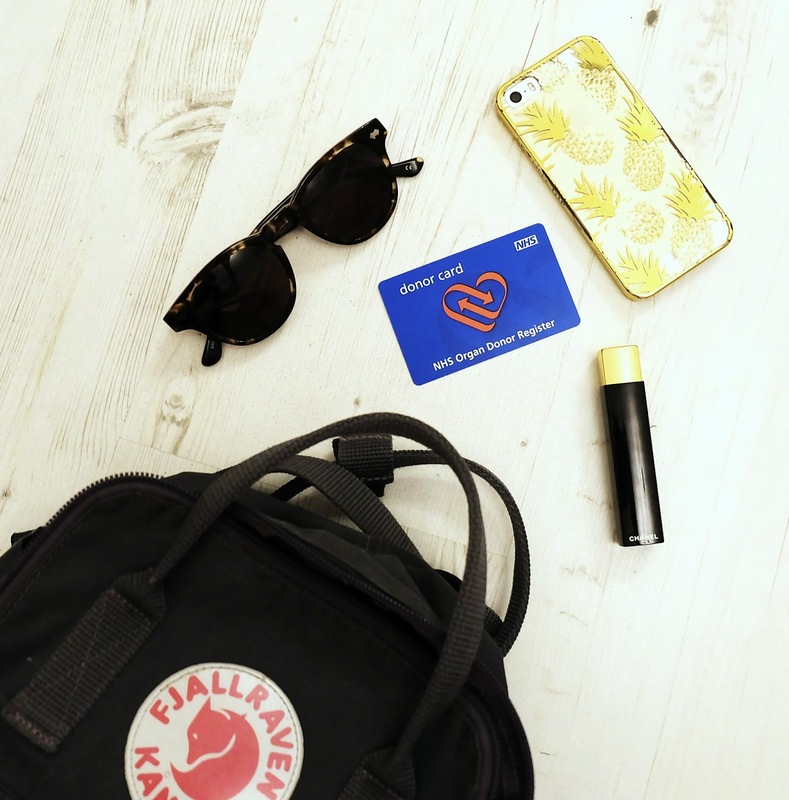 I carry my donor card with me everywhere! Although if you are on the register, tell your family your wishes. When it comes down to it, even if you are registered as a donor the family still has the final say so it's super important you let your decision be known to them. I totally get it's not a nice conversation to have but you only have to talk about it once and it doesn't take a minute! I'm maybe a bit too comfortable talking about my death sometimes, I even have a little list of things I'd like at my funeral hidden away somewhere. Not that it's something I think about often or enjoy thinking about or because I'm morbid but it's because I can't think of anything worse than my family having to stress over stupid things like music and flowers should I get hit by a bus tomorrow! So I just took 10 minutes out of my day sometime to get it all written down and over with, now I don't have to think about it and it's a worry off my mind. You don't have to go as far as me haha but do make sure everyone is clear on where you stand on becoming an organ donor. 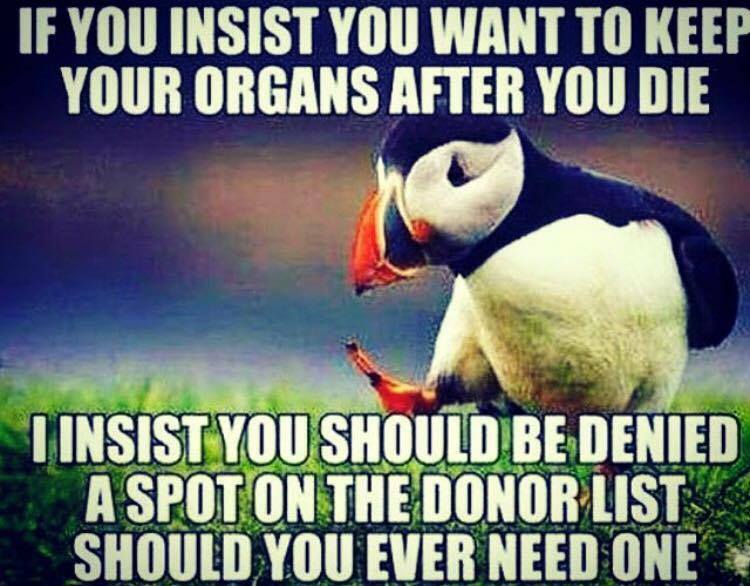 This year Wales will be introducing an 'opt-out' system, so unless you specifically say 'NO, I do not want to be an organ donor' they will basically treat you like you are a donor, with your family's permission, should anything happen to you. It's a great idea because while the majority of people agree with organ donation a much lower percentage are actually signed up, which can be because they just haven't got round to it. In an ideal world people would make an informed choice after being made more aware about organ donation but they don't which is why I think an opt-out system should be implemented all over the UK. But until then, we need to raise as much awareness as possible!